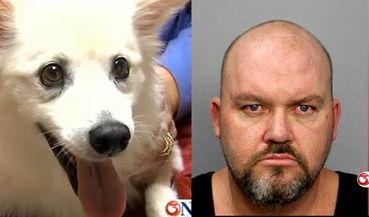 Maximum Penalty for Texas Man That Cut Off Dog�s Leg! Sign the Petition Now! Not prison- cut Steven Mulling leg off!!!! I would quite honest love to kill him, gruesomely. Noted and signed. How about if his legs are cut? Signed and noted. Would send you another star, Ana Mesner, but can't - I agree with you. In such cases I like "an eye for an eye"!! I totally agree - "an eye for an eye"!! Thanks Carmen. Signed & noted. We have 1.517 signatures but we need 5.000 !!!!!!!!!!!!!!!!!!!!!! Thanks Carmen, signed. For me this bastards have not the right by alive!!!! Signed ,shared & noted, an eye for an eye! On top of that he should b Castrated so he cannot pass his evil Genes on to future generations. ^ Because punishing cruelty with more cruelty proves how morally superior we are? He should rot in prison for several years; be required to take anger management and animal rights classes; receive treatment for mental illness and/or substance abuse; and face forfeiture of his house, his car, and any other assets. AND, he should have to do a PSA about why animal cruelty is wrong that includes a confession of his offense. #2990. Margarita, you DO NOT need to be on Facebook to sign. I am not on Facebook, but I signed. Perhaps you need to scroll down farther. They ask for name and email address, and for you to do a simple captcha (for me it was 6 + 6 = ?). Signed & Noted! Thank you Carmen. Cut off his legs and throw him behind bars!!!! Noted and signed. Thanks Carmen. Noted and signed : Latest Animal Lovers who signed #3536 - Lone Fundby. Thanks Carmen! would like to cut off the guys appendage-the one where the sun doesn't shine! I agree with you Gloria H! I recognize that many people are disturbed, as I don't blame them. However, we must realize that lunatics, such as these, will eventually be released. If fact, if we do not attempt to change the psychology of this type of individual, the behavior will not change upon their release. VENGEANCE, doesn't work; it never has. It's all about _growing up_.